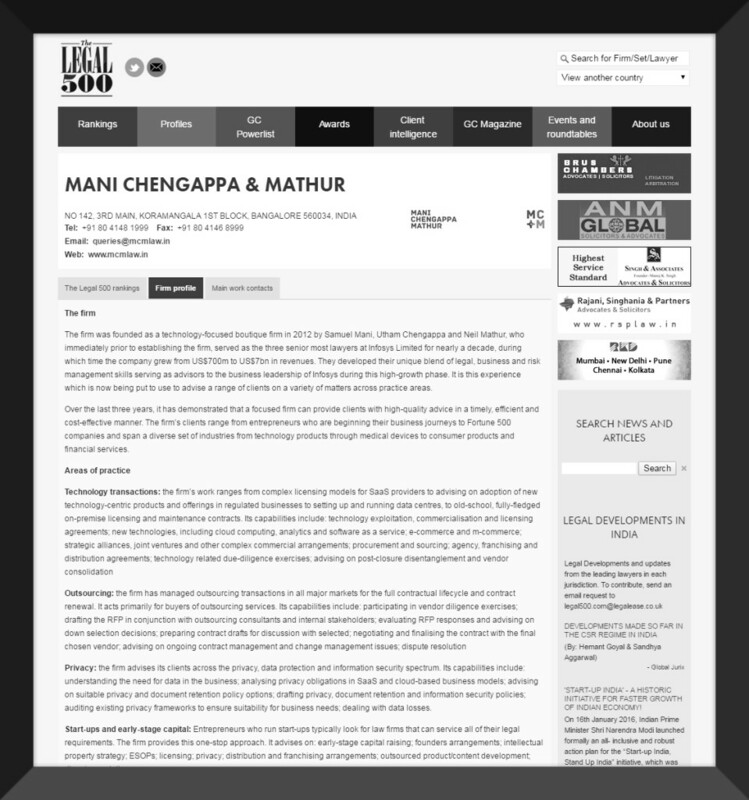 The Legal 500 features MCM in India 2015 annual research survey. The Legal 500 have been providing readers with an annually updated, impartial, third-party opinion on the leading law firms and lawyers in countries across the region. They provide researched coverage of almost 80 countries and more than 3,300 law firms. Law firms pay nothing to participate and so they are free to assess calibre on merit alone. Research is conducted annually, providing a detailed qualitative assessment of various factors including work conducted by law firms over the past 12 months and historically; experience and depth of teams; specialisms and ancillary services; and, importantly, opinions of law firms’ clients – each year. The Legal 500 series contacts over 250,000 clients globally to obtain feedback on which law firms meet the criteria required by today’s in-house counsel and business leaders, wherever in the world their work takes them. All of this is used to benchmark each law firm versus competitors in the practice area in question.